BOSTON—Olfactory deficits are common among patients with renal disease, and the severity of these deficits increases with renal disease severity, according to findings presented at the National Kidney Foundation’s 2016 Spring Clinical Meetings. The deficits likely contribute to nutritional impairment in patients with renal disease, investigators Sagar U. Nigwekar, MD, Teodor G. Pǎunescu, PhD, and colleagues at Massachusetts General Hospital and Harvard Medical School in Boston concluded. Dialysis patients frequently complain that food does not taste good or foods that used to appeal to them no longer do so, Dr Nigwekar noted. The reason may be impaired smelling ability, which would affect how food tastes. The researchers used the standardized “scratch-and-sniff” University of Pennsylvania Smell Identification Test (UPSIT) to evaluate odor identification ability among 28 patients with chronic kidney disease (CKD), 42 with end-stage renal disease (ESRD), and 15 aged-matched healthy volunteers. They also assessed nutritional status by subjective global assessment (SGA) score and measurements of biochemical markers. The healthy volunteers exhibited normal smell function, identifying 87.6% of odorants correctly. 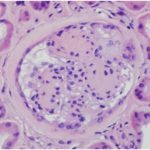 By comparison, the CKD and ESRD patients identified 75.9% and 67.4% of odorants correctly, respectively. Approximately 75% of the healthy volunteers had normal smell function, whereas 20% had mild smell loss, and 1 patient (7%) had severe smell loss. In contrast, only 14 of the 70 kidney disease patients (20%) had normal smell function, 18 (26%) had mild, 16 (23%) had moderate, and 16 (23%) had severe smell loss. Six (9%) were unable to smell. Study participants performed subjective self assessment of smell function, which averaged 81.5% among the healthy volunteers versus 76.3% in CKD patients, and 79.9% in ESRD patients. These assessments, however, did not correlate well with objective assessments using the UPSIT score, according to the investigators. “People who can’t smell basically don’t know that they can’t smell,” Dr. Pǎunescu said. Among the 42 ESRD patients, those with subjective global assessment (SGA) scores above the median (worse nutritional status) had significantly lower UPSIT scores than those with lower SGA scores. In addition, ESRD patients with higher pre-albumin levels were significantly better at odor identification than those with lower pre-albumin levels. The trend was similar with albumin, but this did not reach statistical significance. These data provide rationale for their proof-of-concept HONORR [Helping Olfaction and Nutrition on Renal Replacement] trial, the goal of which is to determine if theophylline nasal spray, an asthma medication, can improve olfactory ability and nutrition in dialysis patients.